Gustav Mahler and Natalie Bauer-Lechner. 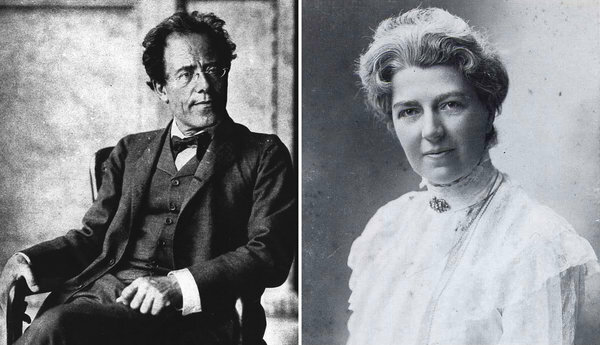 Though musicologists who specialize in Gustav Mahler have long taken the memoirs of his wife, Alma, with a grain of salt, most of them have accepted her portrait of him as a fairly chaste ascetic who had few romances before he met her. Now, two scholars say a recently discovered letter from a Mahler confidante — and sometime lover — Natalie Bauer-Lechner, instead shows that he had numerous affairs and infatuations. “The letter is a fairly complete account of love affairs with quite a number of people, starting with his involvement with a woman named Josephine Poisl, the daughter of the postman in Iglau, his hometown,” said Stephen E. Hefling, one of the scholars, who hopes to publish the document. Bauer-Lechner, a violist, is hardly unknown in Mahler circles. The journal she kept during their long friendship — they met as students — was published in 1923, two years after her death (and 12 years after Mahler’s, at 50) and is regarded as an important way around what some Mahler specialists call“the Alma Problem,” meaning the nearly exclusive control of information about Mahler that his widow wielded for so many years. Henry-Louis de La Grange, whose mammoth, multivolume “Gustav Mahler” is regarded as the definitive work on the composer — and who was one of the first to see the new letter — said that Bauer-Lechner is “of huge importance” and a trustworthy source. “In her journals, she is so honest about so many things, and we would lack a great deal if we didn’t have them,” Mr. de La Grange said by telephone from Toblach, Italy. 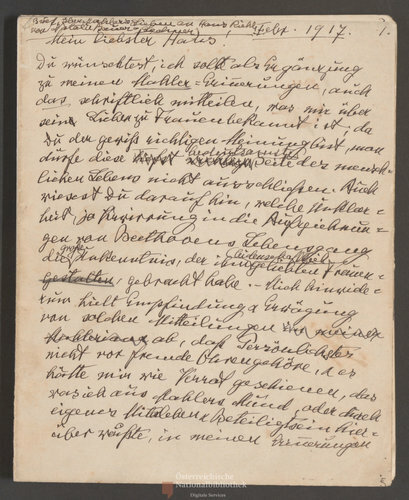 Mr. Hefling, a director of the Gustav Mahler New Critical Edition and a professor of music at Case Western Reserve University, in Cleveland, and Morten Solvik, a Norwegian Mahler specialist, are editing a new version of Bauer-Lechner’s journal that will include passages that have never been published, as well as the new letter. They have submitted an article that includes and analyzes the letter’s text to Musical Quarterly, a journal. Bauer-Lechner wrote the letter to Riehl (who, as far as Mahler scholars know, was a close friend, not a relative) in February 1917, apparently as a solution to what she regarded as a delicate problem: though she intended to publish her journals, she wrestled with the question of including Mahler’s confidences about his relationships with women. She regarded it as important information that posterity would value, but also considered it improper to include such details. Bauer-Lechner said in the letter that by writing it, she was leaving the problem in Riehl’s hands. But Riehl did nothing to make the letter public, and it remained unknown to Mahler scholars until 2011, and even then, they nearly missed it. Mr. Hefling and Mr. Solvik were pointed to the letter by an assistant at the International Gustav Mahler Society in Vienna, and learned that it had found its way to a shop there that specializes in antiquarian items. But when they contacted the shop, they learned that the music librarian of the Austrian National Archives had beaten them to it. The original is in the archives, but Mr. Hefling and Mr. Solvik obtained a copy and set about translating it, and provided excerpts. Among the paramours discussed in the letter are Marion von Weber, who was married at the time to the grandson of the composer Carl Maria von Weber, and several opera singers, most notably the sopranos Rita Michalek, Selma Kurz and Anna von Mildenburg — who, Bauer-Lechner wrote, told her that their romance was platonic. The 59-page letter was handwritten in German and called “Brief über Mahlers Lieben” (“Letter About Mahler’s Loves”). Though his connections with several of the women mentioned in the letter have long been known, Bauer-Lechner’s recollections offer a more nuanced view of Mahler’s emotional makeup. Her discussion of Mahler’s affair with Ms. Weber, for example, reveals just how important it was. 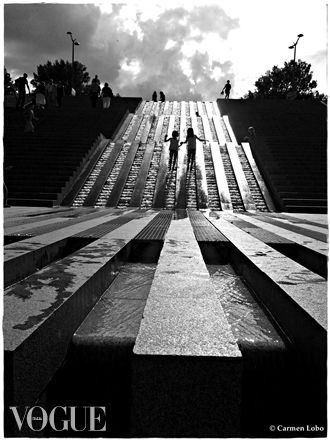 Mr. Hefling added that the details of the romance put the chronology of the Second Symphony into a new perspective. Mahler started the work in 1888, at the peak of his involvement with Ms. Weber, but set it aside after writing only one movement. He then essentially stopped composing until 1892, when he began settings songs from “Des Knaben Wunderhorn.” He returned to the symphony in 1893, and completed it the following year. After Ms. Weber’s husband insisted that she stop seeing Mahler, the composer moved from Leipzig to Prague to take his next position. 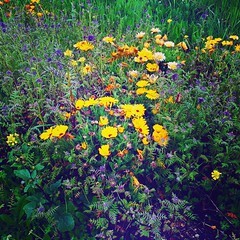 He thought he had persuaded Ms. Weber to join him outside Munich, near Tutzing, but she didn’t show up. Bauer-Lechner wrote about her own affair with Mahler as well, in fairly purple prose. The letter also offers new detail about Mahler’s relationship with his siblings, particularly his sister Justine — who, it turns out was the rock on which most of Mahler’s early romances (include the one with Bauer-Lechner) foundered. As the eldest surviving son, Mahler looked after his siblings after their parents died, in 1889, and for a while, Justine moved in with him. It was only a matter of weeks before he became smitten with Alma.